You may have noticed when firing up Chrome last week that something didn’t quite seem the same. After 10 years, Google’s popular Chrome browser received a much-needed update. Google, a powerhouse of technology innovation, launched the browser in 2008 at a time when internet users were becoming increasingly frustrated with Microsoft’s Internet Explorer and were looking for an alternative. What’s new with Google Chrome? The most apparent change is visual, as Chrome is moving away from the standard square edges and is introducing a rounder look. The browser, tabs, search bar, shapes, and icons will all sport this updated look, giving the application a more modern look. 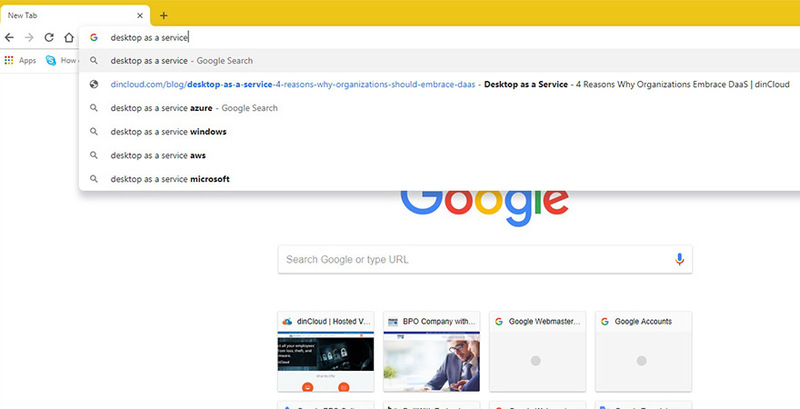 Additionally, Google has added enhanced functionality to both the address bar (Omnibox) and search box. Now, when searching the browser will serve up potential answers directly in the Omnibox. Other updates include changes in how Autofill works, enabling Google to more accurately fill in standard details such as passwords, addresses, and credit card numbers. This information will all be stored within a secure Google Account. Additionally, enhancements to the Google Password Manager will enable users to create stronger passwords. 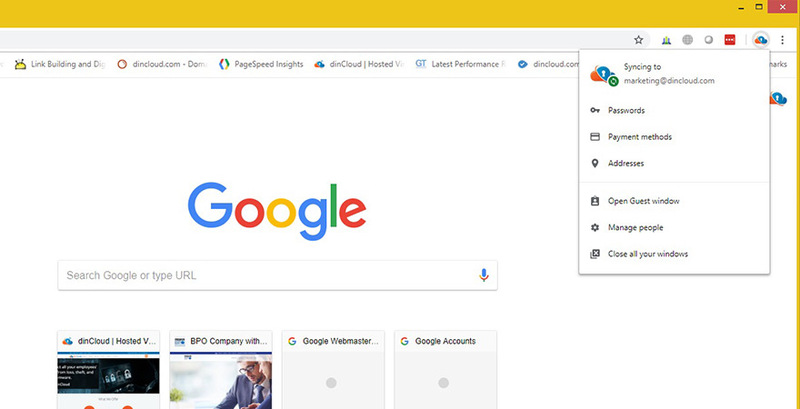 dinCloud works with Google Chrome to enable workspace transformation with innovative, secure, hosted Desktop-as-a-Service (DaaS) solutions. Customers can access their secure desktops through dinCloud with Google Chrome, Chromebooks and other operating systems, helping businesses to change the future of work, attract top talent and reduce expenses. Contact us today to learn more.